As the Masters Golf Tournament is being played this week, I’m reminded of a great amateur golfer from Mississippi, Spec Wilson, pictured above. Below him is a photo of his son, Chris Wilson, who comments below about his colorful, talented father. Chris and I became friends after my first posting about Spec. Read the scores for amateur tournaments today, and you’ll notice that high school and college golfers dominate the leader board. That’s not surprising, considering their opportunities for year-round play and practice. Could a business professional, employed year-round, expect to perform as well as the NCAA’s stars? Usually not. 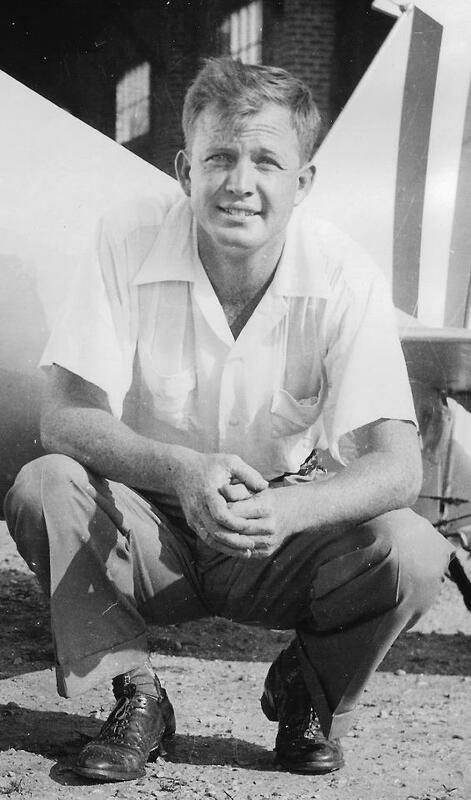 However, when I was growing up in south Mississippi, I idolized Spec Wilson, a true old-style amateur–a man who played golf as a hobby, yet spent most of his time running a feed and seed store. Spec was just as colorful as his nickname. Spec operated his store in Laurel, Mississippi, a town known for its masonite plant, and for the Laurel Country Club’s golf course—built in 1917, and still ranked among the top ten courses in the state. Local folklore said that Spec put his clubs up every winter, and once shot 67 on his first round when spring arrived. A star football player in high school, he stalked the fairways with an athletic swagger. And when he swung a golf club, power and precision blended perfectly. Spec’s putter belonged in a golf museum, for two reasons. It was rusty enough to fit in among ancient artifacts. And he used that unsightly blade with incredible touch. The first time I watched Spec play, he and his partner won an exhibition against a thirty-eight year old Sam Snead. Hypnotized by Spec’s talent and showmanship, I joined his gallery numerous times. Did he beat the college stars of his day? Yes, regularly. He defeated Johnny Pott, future Ryder Cup player and five-time PGA TOUR winner. In 1951, he downed Eddie Merrins, who gained fame later as UCLA’s longtime golf coach, on the first playoff hole for the Mississippi Amateur title. Ironically, Spec had played for LSU, as did Pott and Merrins. When Spec Wilson entered the Mississippi Sports Hall of Fame in 1967, the year of his death, his trophies included three Mississippi Opens, four Mississippi Amateurs, and six prestigious invitational tournaments. He won the Laurel Country Club championship an astounding twenty times. Spec played exhibitions with Snead, Demaret, Nelson, and other stars of that era. I’ll always remember Spec as a player and a person. He chatted with galleries, displayed unwavering sportsmanship, and was friendly with teenagers like me who followed him with wide-eyed admiration. Now I’m enjoying my friendship with Chris, who keeps me posted with vivid memories of his legendary father. And if I ever get to play Chris at Laurel Country Club, as we have discussed, he’ll have to spot me a few strokes. I’m quite familiar with the genes he inherited.